Safely watch the sheer power of U.S. AIR FORCE PLANES on your computer monitor. 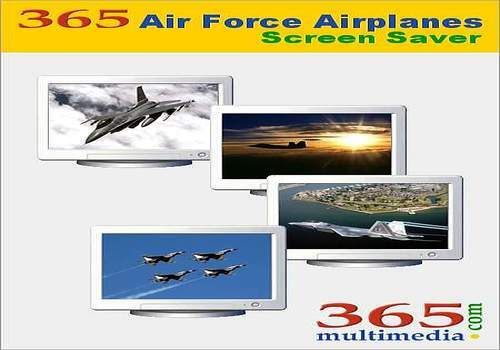 This screensaver rotates over forty STRIKING AERIAL AND GROUND PHOTOS of military aircrafts including the F-15 Eagle, F-16 Falcon, FA-22 Raptor and F-117 Nighthawk fighter jets, the B-1 Lancer, B-2 Spirit and B-52 Stratofortress bombers and many others. Be energized as you see some of the world's mightiest airplanes in action! All 365multimedia.com screen savers come with STICKY NOTE support so you can leave an on-screen message while you are away from your computer and WALLPAPER support so you can use any screen saver image as your desktop background.